The abolition campaign was started by the Society of Friends, known as the Quakers. Quakers believe that all people are created equal in the eyes of God. If this is the case then how can one person own another? 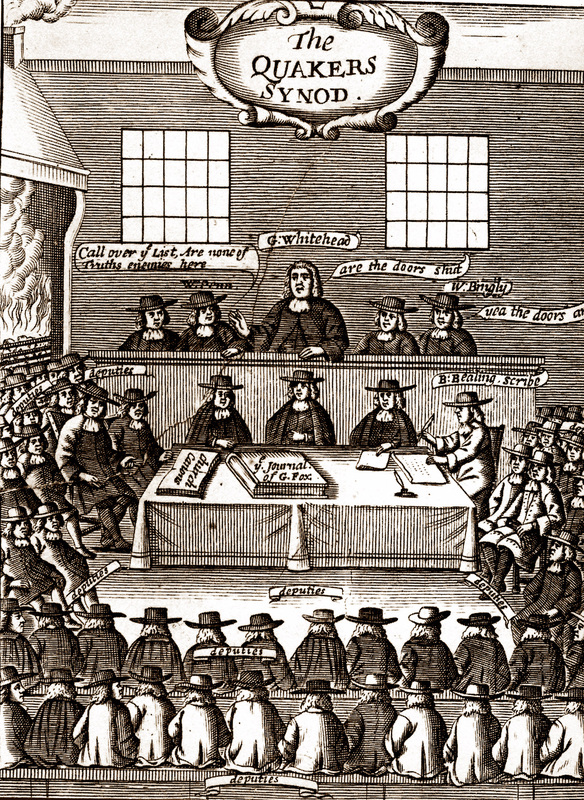 Around 1727 the Quakers began to express their official disapproval of the trade and promote reforms. From the 1750s, a number of Quakers in the American colonies began to oppose slavery and lobby the English Headquarters for action. By 1761 Quakers had come to view abolition as a Christian duty and all Quakers on both sides of the Atlantic were barred from owning slaves. Any members that did not conform were disowned. An informal group of six Quakers pioneered the British abolitionist movement in 1783 when the London Society of Friends' yearly meeting presented its petition against the slave trade to parliament, signed by nearly 300 Quakers. They subsequently decided to form a small group open to all denominations to gain wider Anglican and Parliamentary support. Prejudice in Britain against religious dissenters, meant the committee was not gaining public attention and Quakers were barred from standing for Parliament. The new committee had nine Quaker members and three evangelical Anglicans, which strengthened the committee's influence. The Anglicans who co-founded the committee were Granville Sharp, Thomas Clarkson, and Philip Sansom. The Quaker members were: John Barton; William Dillwyn; George Harrison; Samuel Hoare Jr; Joseph Hooper; John Lloyd; Joseph Woods Sr; James Phillips; and Richard Phillips. Quakers continued to work for the movement and provide financial support throughout the campaign. They had built up a lot of knowledge of campaigning through struggling for their own rights. Their organisational skills were important to the success of the campaign providing a network of contacts across the country which helped initiate local support. You can find the accounts of some Quaker abolitionists in this section, others are less well known but their support was just as vital. Activists like John Woolman who in 1754 wrote one of the very first tracts opposing slavery, James Wright of Haverhill the first businessman who refused to sell slave processed sugar,or Sophia Sturge who trudged round 3,000 households personally asking them not to eat slave-grown sugar. The British and Foreign Anti-Slavery Society (BFASS) founded in 1839 by Joseph Sturge still survives today as Anti-Slavery International.